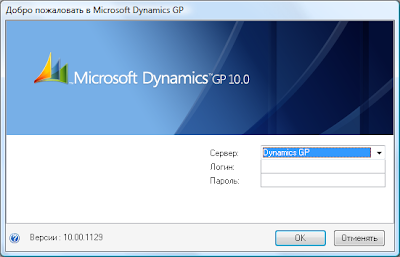 Description: For the past few months I took it up on myself to produce a translated Russian version of Dynamics GP. What began as fun little project in response to seeing a lot of GP information in Russian on Partnersource, is now showing some remarkable results. I have managed to translate 45% of the string resources and adjust the screens accordingly aided by numerous accounting software books I ordered from Moscow -- and my wife who is from Moscow herself :-) -- to get the proper terms and meaning in place. Unlike Chinese or Korean, the Cyrilic alphabet is not a double-byte alphabet and can easily be managed by Dexterity. However, this project was met with its own set of challenges when I started the translation process, for example, how to get Microsoft Windows to display Cyrilic characters to begin with. I sorted this out by installing Dynamics GP on a server with a default Russian locale configured. The reason this is important, as I discovered, is because ANSI characters have different values depending on the Windows locale. This way, as strings were translated in my Notepad text file, Dexterity would be able to read and display them in their native format (as long as they were not double byte characters). For more information on the translation process I used, please take a look at Dave Musgrave's Translating Dexterity Applications Series of articles. I will provide more information about the progress of this fun project and, hey!, may even consider partnering opportunities. After all, as you all know Dynamics AX is the only Microsoft product being distributed in Eastern Europe.